In town for Winterlude? Planning on heading downtown to check out events and skate on the canal? With activities in the ByWard Market, on the Rideau Canal and on Sparks Street, you may not even realize that your travels may take you to the locations of Ottawa’s more famous moments. Download the City of Ottawa Archives’ Time Traveller app for your Winterlude visit and discover 150 years of history in Ottawa, right in the palm of your hands. No trip to Winterlude would be complete without a skate on the Rideau Canal. But how much do you really know about the World’s Longest Skating Rink? While skating on the canal dates back to the 19th century, it wasn’t until 1971 that the National Capital Commission turned the canal into the skating rink it is today, Why did it take so long? You’ll have to download the app! 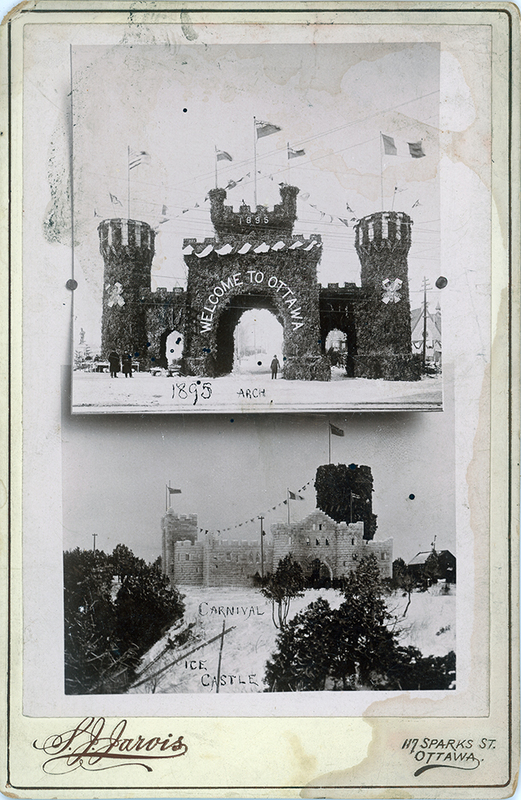 Learn about Ottawa’s first winter carnival, held back in 1895. Held from January 21 to 26, the Ottawa Winter Carnival featured a band concert a dress carnival and a ball at the Russell House, which, at the time was Ottawa’s poshest hotel, located at Elgin Street and Sparks Street. Do you know where the 91-foot bough arch was erected? Sparks Street was also the scene of one of Ottawa’s most famous murders. Thomas Darcy McGee was assassinated following a speech at a large St. Patrick’s Day banquet in 1868. Patrick Whalen was hung for the murder one year later at the Nicholas Street Gaol, which is now the HI Ottawa Jail Hostel. The Time Traveller app has the whole story. Also on Sparks Street, at the corner of Elgin Street, you will find Lord Stanley's Gift Monument. In 1892, Canada’s Governor General, Lord Stanley of Preston, decided to donate a trophy to be awarded annually to Canada’s best hockey team. Find out more about Ottawa’s connection to the Cup. There are 146 more stories to discover with the Time Traveller app. You can use the app three ways. You can use the interactive map and choose a story based on location, follow the timeline or try a random story. Visit the locations mentioned in the app and discover more of the story, including extra content. The Time Traveller App uses geo-mapping technology to identify everything of historical significance near your location. The app is optimized for use on your cellphone. Download it in the Apple Store or Google Play.